Mike plays guitar in the progressive death metal band Andhera based out of Lancaster, Pennsylvania. Their debut EP "Liminality" was released in 2017 and featured Brody Uttley from Rivers of Nihil. Andhera will be releasing their next EP entitled "Firewalker" in July 2018 with more to come next year. Madison hails from Connecticut, the pizza capital of the United States. He currently writes for and performs with his band Rival Colors. You can check out their latest single "Envy" on Spotify and Bandcamp. Madison is currently playing through a USA Production 2x12 in Fawn, loaded with Celestion V-Type speakers. Austin plays guitar in the band Wither Away based out of Reading, Pennsylvania. They are currently in the studio working on a new full length album. Check out their latest single “Pandora’s Box” on Spotify. Austin is currently playing through a USA Production 2x12 in Fawn, loaded with Celestion 75w Creambacks. Eli is a guitarist, bassist, producer and recording engineer from Southeastern Pennsylvania. He plays in multiple bands from around the area such as Sunblind & The GoAround. And when he somehow finds free time, he also builds his own electric guitars. 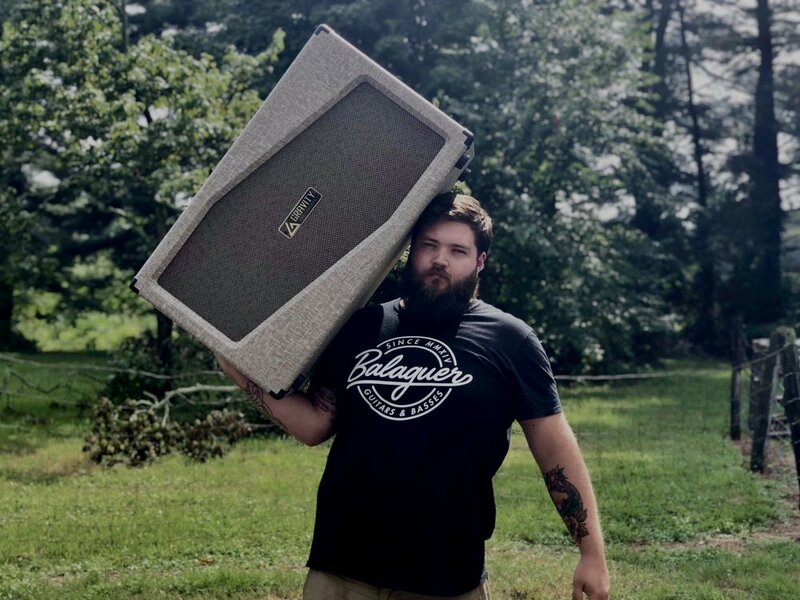 Eli currently plays through a Custom Shop 4x12 loaded with 75w Celestion Creambacks & uses a Gravity Enclosures Studio Rack to hold his outboard studio gear. Greg enjoys the color purple. Purple guitars, purple amps, purple cabs and who knows what else. OH! Purple lights, too. Greg plays a Custom Shop 2x12 dubbed the "Utility Belt" here at Gravity. It will literally do everything: Stereo, Mono, Inidividual Open-Back & Closed-Back operation, one speaker at a time, complete isolation for each speaker, and has also repelled sharks. It is currently loaded with a Celestion Vintage 30 & a G12K-100.